Thanksgiving is my favorite holiday. My love for the day was engrained in me because, as a child, our celebratory traditions were kept intact from one year to the next. Holidays were more than just a break from school. It was family time, an infusion of festive colors, wonderful cooking, sometimes a few gifts and the knowledge that the special day could be counted on. Our Thanksgiving and Christmas dinners started with pre-dinner foods and beverages. Mother would lay out a table with cider or egg nog and shrimp cocktail. What I remember most, however, was the clam dip. I thought everyone in the family loved clam dip but, decades later my father told me he never cared for it. 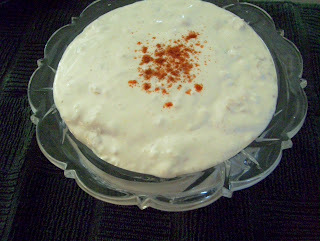 Clam dip is always on my Thanksgiving and Christmas Day menu. My children have asked for the recipe because, unlike my dad, they love it as much as I do. With only two ingredients, it is more than simple and can be increased quite easily. Clam dip can be made ahead of time, but be careful, someone might be tempted to eat most of it before the big day! Put cream cheese into a small bowl and bring to room temperature. Drain clams and reserve juice. Add minced clams to cream cheese and mix well. Slowly add juice to cheese mixture, stirring after each addition. Continue until all of the juice is used. Spoon clam dip into a decorative bowl and add a dash of paprika in the center of the dip. Cover and refrigerate until ready to serve. Serve with rippled potato chips and cut vegetables.